Papaver somniferum and Erythroxylum coca. So your saying its cool if I grow these and feed them to ignorant people with poor impulse control? Just what sort of system do you think we have now? 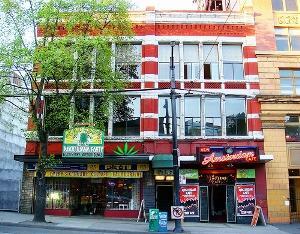 'Ignorant people with poor impulse control' drink plenty of alcohol and smoke a lot of cigarettes. But what is it that keeps people ignorant about poppies & coca leaf and encourages exploitation of this ignorance and 'poor impulse control'? Answer: the current system of trying to interfere with and control everyone's relations with what grows in the ground! Poppies, by themselves, are less psychologically addictive in their natural state than when they are refined into things like heroin or codeine. McPharma doesn't want you to know this. The danger of overdose from consuming an infusion of poppy straw is very, very slight to non-existent, and certainly is no worse than the dangers of alcohol poisoning.. If one can grow their own legally, it becomes much more difficult for others to exploit either one's ignorance or one's 'impulse control'. One CANNOT LEGISLATE 'IMPULSES' out of existence. This was THE WHOLE POINT in ending alcohol prohibition. Cf. all the people who died of wood alcohol poisoning during alcohol prohibition, as unscrupulous people capitalized on the stupid 'laws' to cheat their fellows! Funny how this same realization doesn't seem to be extended to other things. When people have familiarity with the virtues of plants, ignorance will DECREASE, not increase. Problems with 'impulse control' will always be with us. We do not outlaw alcohol because some folks decide to overindulge. INSTEAD, we strive prevent those things which would encourage exploitation, SUCH AS PROHIBITION! LOL. "It's hard to say what, exactly, got him in the sights of US law enforcement..."
Come on. If would have sat down and shut up like a good little sub, they wouldn't have made an issue of it. 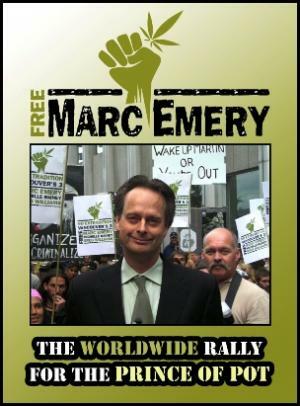 thanx for this update on marc emery, phil. it's good to know he survived prison, and isn't about to give up the good fight.